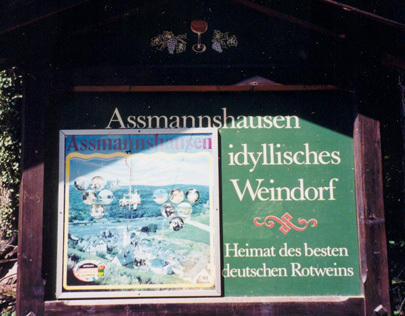 Museum sign from Rüdesheim. I thought it was neat how they incorporated the umlaut into the "o". 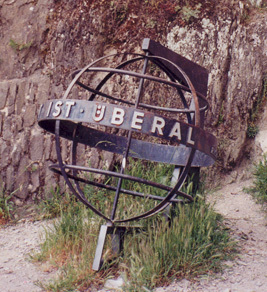 Another neat umlaut treatment, this time from a sculpture outside the hostel in Bacharach. Umlauts are great fun. If English used umlauts regularly, I'd be going to town with them - swapping them out with donuts and other round objects when using them on posters, things like that. Yay for umlauts! 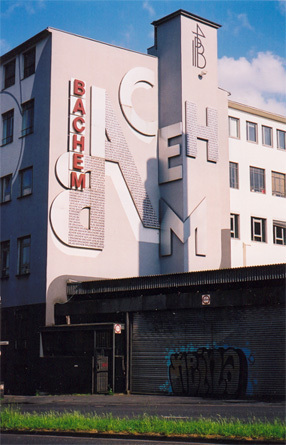 Check out the type on this building! It's so playful! And then there's this sign, which wasn't anything special typographically - it just made my inner twelve-year-old bust one laughing.